Step 1 In a large bowl, toss the beef with 1 1/2 teaspoons of salt and 1 teaspoon of pepper, or to taste. Step 2 In a large, heavy-bottomed pot, heat the olive oil until hot. Add the beef (just enough that it fits in a single layer -- this may need to be done in batches) and sear until browned on all sides, 6 to 8 minutes. Add the coarsely chopped onion and cook, stirring frequently, until the onion is softened and lightly colored, about 6 minutes. Add the brandy and continue to cook, scraping any flavorings from the bottom of the pan. In Recipes-list.com we have selected the most viewed recipes from category - Main courses Soups . Enjoy the best recipes specially selected for you! 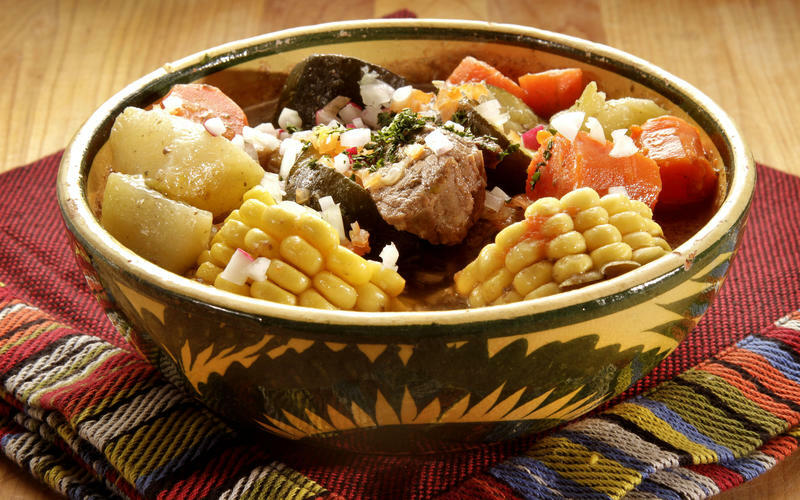 Beef stew with chayotes is the right choice that will satisfy all your claims.